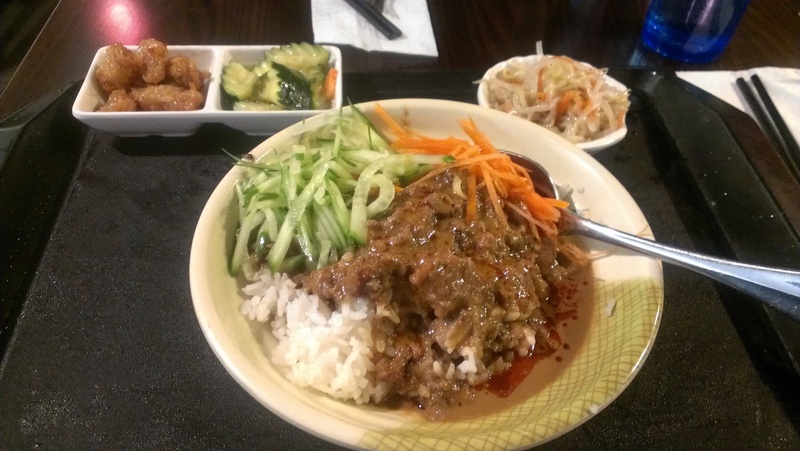 We were craving some Taiwanese food so we debated between Beefy Beef Noodle or Corner 23. Both feel kinda the same to me and I haven’t been to both in a long time so in the end we went to Corner 23. 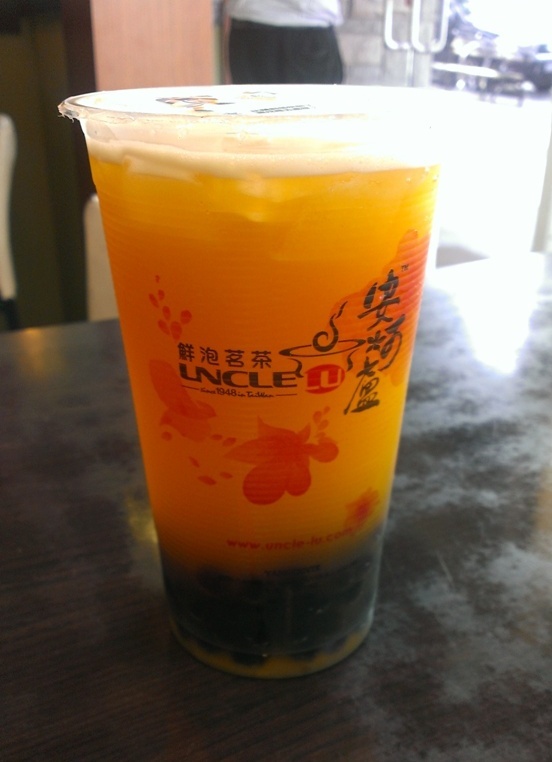 They also recently opened a new location called Uncle Lu in Continental Square in Richmond. Passionfruit green tea with pearls. Refreshing and not too sweet. Pearls were nice and chewy. This entry was posted in Food Reviews, Taiwanese and tagged bbt, bubble tea, hotpot, passion fruit. Strike is a fairly new Taiwanese restaurant that opened last year and they have two locations already, one on Broadway and one in Richmond. I actually went to both last month! I ordered the Taiwanese minced meat sauce on rice but it was with a sesame peanut sauce instead of the usual meat sauce. The portion was really big and there was plenty of meat! I found the sesame peanut flavour to be too strong after a while and the flavour became overwhelming. I think I’ll stick with the original. 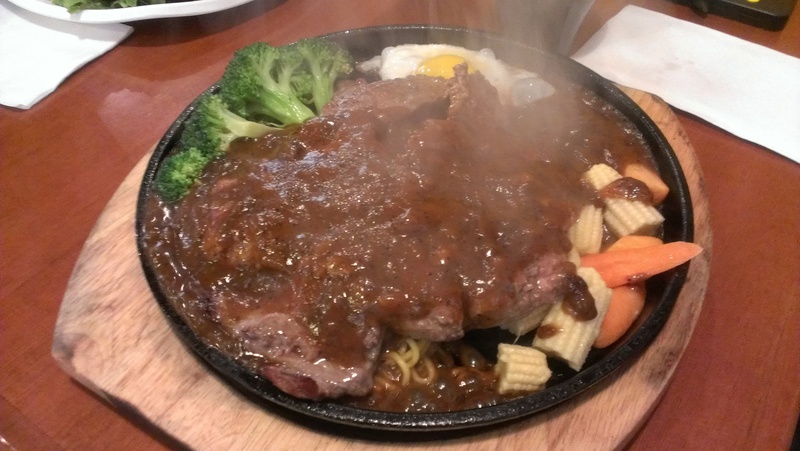 This was the Black Pepper Steak sizzling plate which came with an egg and some veggies and rice. It was a bit chewy. Chicken Nuggets!!! Super delicious and perfectly salty and peppery. They hit the spot! I think you can order a small or large order of this and this was a large. Black Pepper Steak with noodles underneath. The steak seems bigger than the last time I was here (see picture above). Pork chops with rice? I didn’t try this. I don’t know why they didn’t put the pork chops on another dish like for my sweet and sour chicken. The Broadway location opened first and it’s smaller than the Richmond location and their menu was smaller too. I’m not sure if that was just the lunch menu but usually they serve everything for both lunch and dinner. I think it’s another good choice for Taiwanese food (I like having choices!). I should try their bubble tea next time. 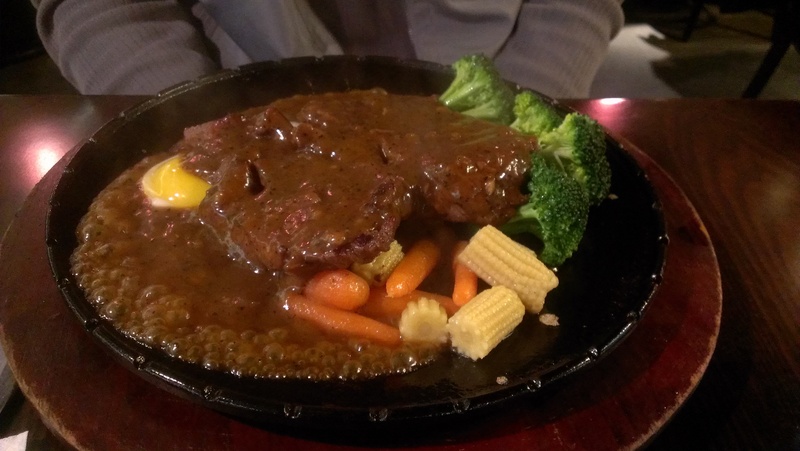 This entry was posted in Food Reviews, Taiwanese and tagged black pepper steak, sweet and sour chicken. My friend suggested going to Zephyr Tea House for dinner once when we were out of ideas. I had never really considered this place before since it seemed sorta hidden. The restaurant seems spacious but also emptier than I expected. Definitely not as busy as Pearl Castle. Also, this review might be biased because I was really hungry! I ordered the Spicy Shredded Pork set which came with 3 side dishes that were all on the same plate. I was really surprised that there was potato salad. Or their version of it which was essentially potatoes with mayo. The spicy shredded pork was indeed spicy and tasty. 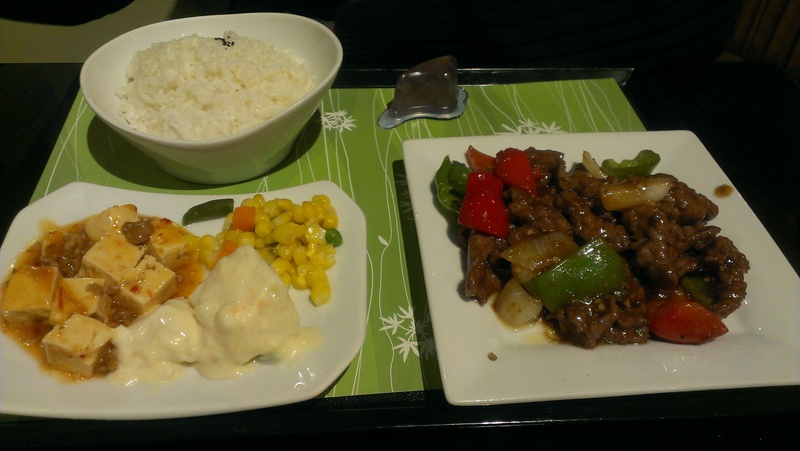 My friend had the Black Pepper Beef set which came with the same 3 side dishes. Pretty good, fairly standard. 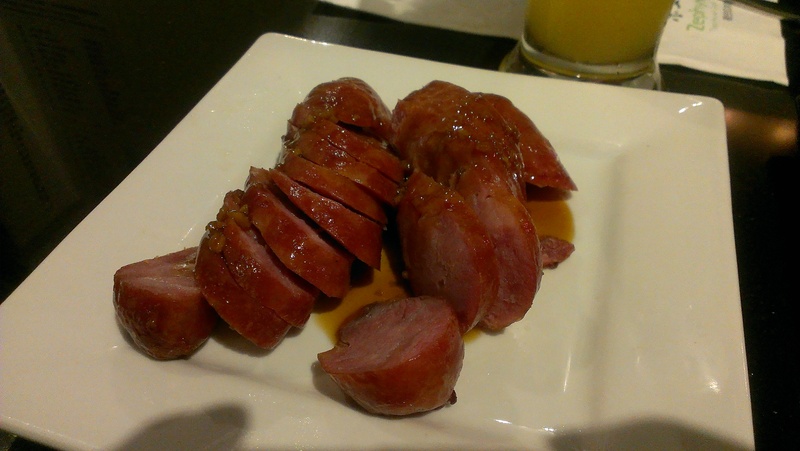 Taiwanese Sausages. I haven’t had this in so long! Peach Calpis. Good, not too sweet or artificial tasting. Basically there was really nothing special here. It was also lacking in ambiance because it seemed really quiet there. Like too quiet for me. Good thing is that there were no lineups? 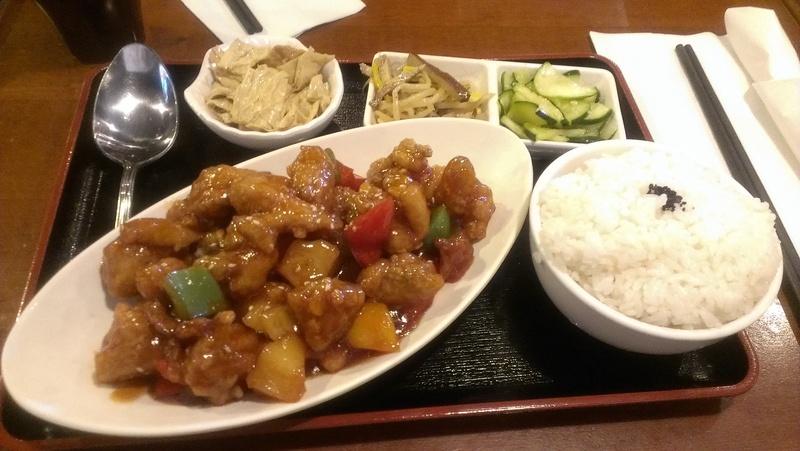 I’ll keep it in mind if I’m really craving Taiwanese food… Food was fairly typical and portions matched the price. It was about the same as Corner 23 and I’m not dying to come back anytime soon. 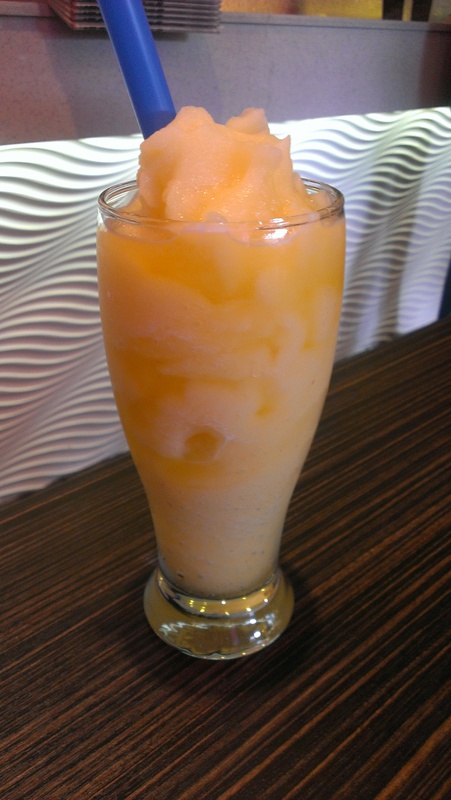 This entry was posted in Food Reviews, Taiwanese and tagged bbt, bubble tea, Taiwanese. The Peach Slush was well, just peachy to me. Not too icy or overly sweet. I wish bubble tea drinks came in smaller sizes, then it would be cheaper and I wouldn’t have to drink as many calories! Technically this drink can feed two people. Or two people like me who don’t want to drink too much… This costs $4.25 which is already on the lower end of the price range but I guess that’s the norm now right? Pearl Castle offers a variety of thick toast including a special one topped with almonds but since I’m not really a big almond fan I went with the chocolate fluffy cream thick toast. When I got the toast there was no “fluffy cream” in sight. So I’m not even really sure what that means. The layer of chocolate on top was similar to the topping on a pineapple bun. Sort of crumbly in texture but underneath you could taste the butter that the used on the bread. The piece of toast also wasn’t as big and fluffy as the one from SoHo Tea Room but it was alright as far as toast goes. The chocolate topping wasn’t that chocolatey or sweet either. I expected the chocolate to be like a Nutella spread. Was I expecting too much? It was still enjoyable but maybe I’ll stick with the butter and condensed milk toasts. 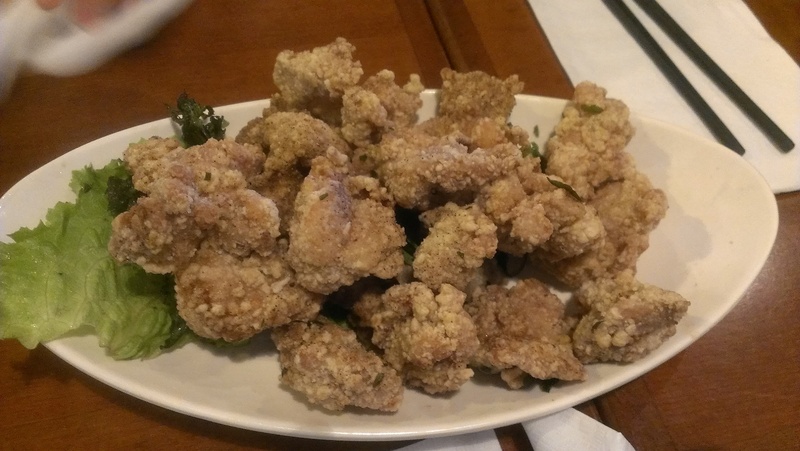 We also got an appetizer to share. 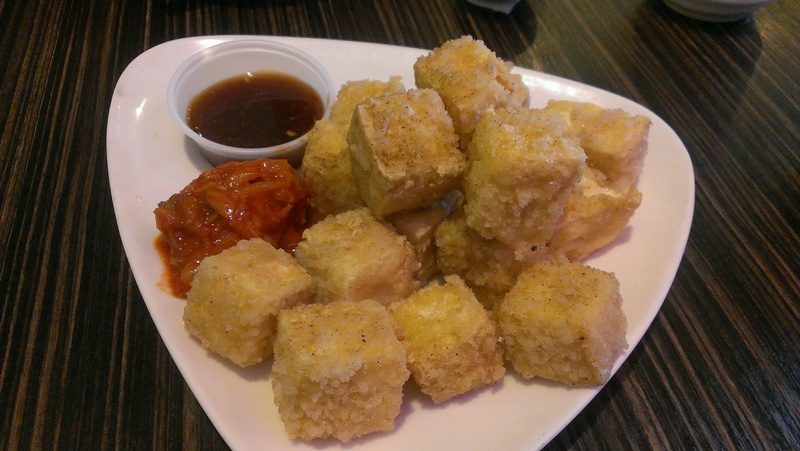 The deep fried tofu was very light and crispy. Despite the fact that it seemed to be seasoned on the outside, they tasted quite plain without the dipping sauce. I can’t quite articulate what kind of sauce it was though… And there was a side of kimchi too. The kimchi had a lot of spicy sauce and it gave the tofu some more flavour too but it wasn’t very good kimchi. We enjoyed our meal here and they had pretty solid food as usual. The waitress was a little hard to flag down though even though it wasn’t busy. This entry was posted in Food Reviews, Taiwanese and tagged bubble tea, Pearl Castle, thick toast. Soho Tea Room- Free Toast Special! Okay I have to admit that the cheap Asian in my perks up at the sound of FREE. In this case, Soho Tea Room offers a special from 2-5pm daily where if you buy a bubble tea drink of $4+, then you receive complimentary free toast! Sounds good already and toast is valued at around $4 too. I finally decided on getting their Sesame milk tea with pearls and the Condensed Milk with Butter Thick Toast. Meanwhile my friend had the Satay beef with rice noodle soup. I really liked this too although it wasn’t very spicy at all. Also the rice noodles ended up soaking up all the soup and they expanded so this is something you should eat right away! You can also read about their honey toast boxes in my post here. 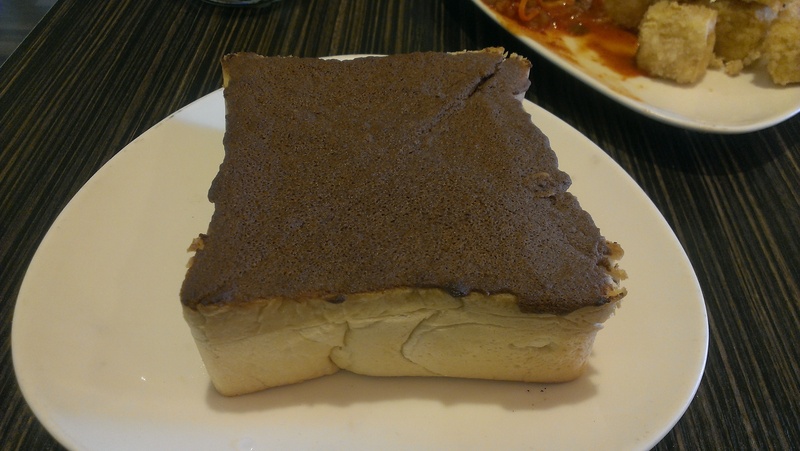 This entry was posted in Food Reviews, Taiwanese and tagged daily specials, Soho Tea Room, thick toast. Another trip to Soho Tea Room for Honey Toast Boxes! I have to say that it is pretty rare for me to visit the same restaurant twice in the same week (or even mere days apart). However, I felt compelled to bring my other friends to Soho Tea Room for another hangout during reading break. We arrived at 6pm and the restaurant was fairly empty. Well it actually was for most of our visit but I think not many people know they’re here yet. I was tempted to try the honey toast box because I’ve never had one before and I’ve heard a lot about the ones at What8ver Cafe and on the one occasion that I tried to go, they were closed. =( Since Soho Tea Room was having a promotion for their honey toast boxes (see my post here), I convinced my friend to share one with me. There was a warning that said it would take 30 mins before it was ready and we were willing to wait. The promotion was for one honey toast box for $12-14 and it included two bubble tea drinks as well. That’s a steal right? For my drink I ordered the Tiera-I-Miss-You which had coffee, chocolate, mascarpone cheese and ice cream. Despite the nice description, it was essentially a coffee slush and that was all I could taste so I was a bit disappointed. Maybe there was a hint of chocolate. My friend ordered the Love Letter which had strawberry, honey, and milk with a touch of fresh yogurt. My friend commented that this was pretty tasteless and when I tried it, there was a very very mild strawberry flavour. There seemed to be too much yogurt and it diminished the strawberry flavour further. It was also overflowing when it arrived. Despite the fancy drink names that enticed us, we should have went with more standard bubble tea drinks from their regular menu or the tried and true stuff! My friend ordered the lamb curry with came with a good portion of rice (not pictured here). I didn’t try this but he said it was good. Finally after more like 40 mins, we got our honey toast box!!! We decided to get the original one with cookies, ice cream, honey and condensed milk. At this point I was pretty hungry and just tore right in. Inside there are chunks of toasted bread flavoured with honey and it was warm, soft and sweet. It was very delicious and also tasted good with the cold vanilla ice cream as well. I was surprised that the sides of the box tasted good too due to the honey flavour and it was not that hard despite being toasted. There was quite a lot of bread here and we were both really full after and we decided to leave the bottom of the box. Verdict: While it was indeed a tasty treat, waiting for 30-40mins is not ideal for me so I don’t think I will order this again for a very long time. And if you do, make sure you’re not too hungry before hand and order other snacks while you wait! My other friend also ordered waffles with ice cream for dessert. I didn’t try it but they seemed pretty standard looking. We took the rest of our drinks to go and they gave it to us in the usual bbt cups but this time they had cute bubble tea related cartoons on the lids! I thought it was pretty cute. I still enjoyed my visit to Soho Tea Room but I think I will stick to their regular entree items and drinks now. I like that their menu has a lot of variety with Eastern and Western dishes as well as noodle soups, snacks and hotpot dishes. 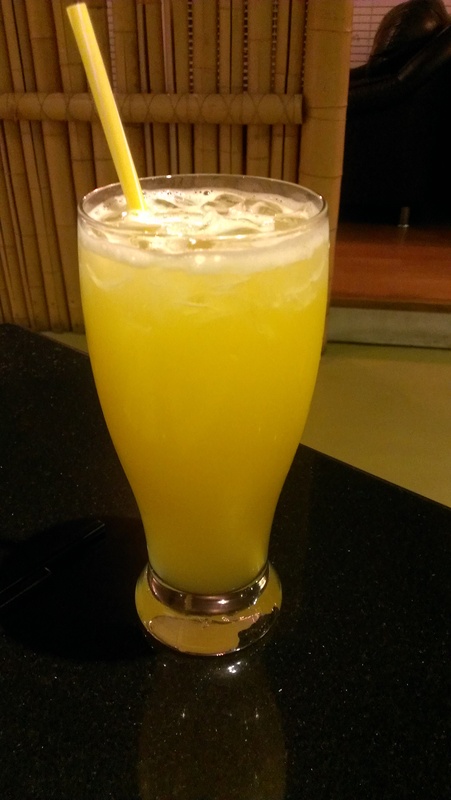 This entry was posted in Food Reviews, Taiwanese and tagged bubble tea, honey toast box, Soho Tea Room, specialty drinks. To celebrate the beginning of reading break (woot! ), my friend and I headed to the new Soho Tea Room. We used to live near Flo and were quite disappointed that they closed down. However, the menu for Soho Tea Room looked promising and they also had honey toast boxes too! They are currently doing a promo for honey toast boxes in light of Valentine’s day. For the price of $12-14, you can get a toast box and two drinks as well! Offer ends Feb. 21! I love the cute poster. Unfortunately this just didn’t seem appropriate for lunch so we passed on it. =( The Tiera-I-Miss-You seems like a good drink though! Soho Tea Room is located on Cambie and 19th right by Cafe Gloucester and within walking distance of the King Edward skytrain station. The interior was very bright and inviting and they had specials written up on the wall in chalk. When we arrived at 12pm, there were only about three tables occupied. My friend loves noodle soup combos so he wanted to compare the soup combos here with Deer Garden . He ordered a Malay Satay soup base with udon, spam and beef brisket. The soup base was flavourful but not too spicy and there were a variety of veggies in it including mushrooms, tomato, bean curd and napa cabbage (siu choy). This cost $8 and does not come with a drink. Additional side dishes are available for $2. His verdict was that he liked Deer Garden better and also it is a better deal since it comes with a drink (he’s addicted to Deer Garden so he might be biased). The portions were approximately the same size and overall it was still an enjoyable option for fish soup noodles. Now that I’m looking at their menu again, it does say that DIY fish noodle soups are part of the lunch special so drinks should be included? I ordered a teriyaki chicken fried rice which came with a creamy vegetable soup. It was a bit too thick which became more evident as it cooled down which made it really unappetizing afterwards. It had very small pieces of carrot, celery and potato in it. My usual order of cold milk tea. Very standard and refreshing. I ordered a teriyaki chicken fried rice but they got my order wrong so I ended up with a Thai style fried rice. I was trying to order something different because I frequently order the Thai style fried rice but alas I was meant to be with my Thai style fried rice. I didn’t want to wait for them to make me a new order so I just ate it anyway. It was very evident that this was not teriyaki chicken fried rice due to the sweetness of the dish and the Thai chili sauce used. This had green and red peppers, egg, onions and small chunks of chicken. I found the portion to be quite big as well even though you can’t tell from this picture. 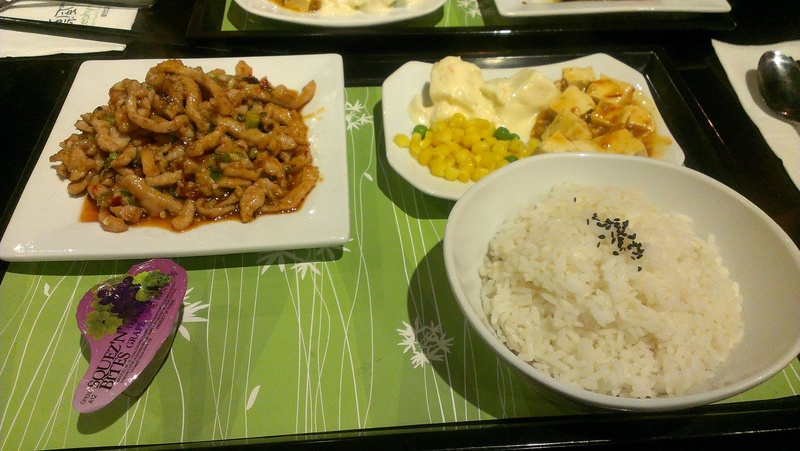 The sweetness of the rice was very addicting and I ate almost all of it! Perhaps they could tone down the sweetness though because it might be overdone for other people and there were no other flavours in the dish. Overall I was very satisfied with my visit here and will definitely come back and try their other offerings (honey toast box!). I did hear another table complain to the server that their noodles were too salty though. 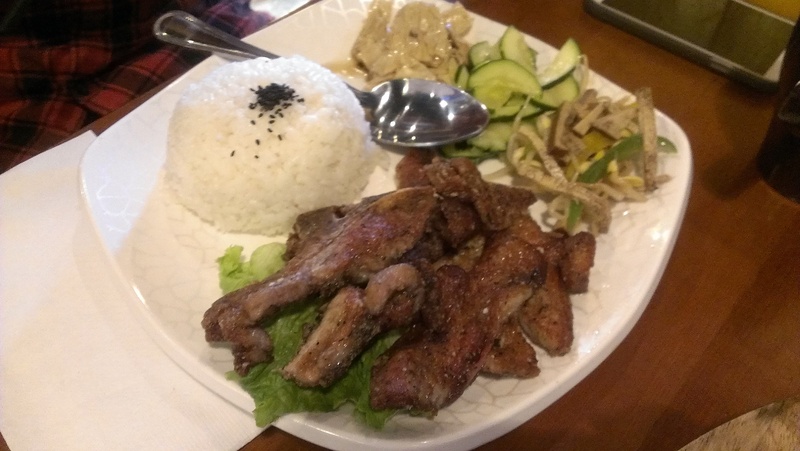 Most of their menu items are approximately $8-12 which is very reasonable especially since the portions are quite big and the lunch specials are a good deal too. They also have daily specials if you follow them on Twitter. This entry was posted in Food Reviews, Taiwanese and tagged fish noodle soup, New Flo, Soho Tea Room, Taiwanese. I had a sushi craving and I had been meaning to try Zipang Sushi on Main St. They have good reviews and they also serve okonomiyaki and I wanted to try that too. However, the last time I tried to go we missed their lunch hours which ended around 2-3pm. This time I went on a Monday and what do you know… they’re closed on Mondays!!! =___________=” Thankfully it was located near Beefy Beef Noodle so we headed there instead. They’re always reliably open! We started with deep fried squid tentacles which were quite tasty. Not too greasy, crisp, nicely battered and NOT rubbery!!! But … I forgot to take a picture. Sorry! My friends hot and sour soup with noodles. It did taste just like hot and sour soup! I like Beefy Beef Noodle because they have a really good selection of dishes although I think I always end up ordering the same type of items… But I do like variety! They also have really good deep fried chicken nuggets. 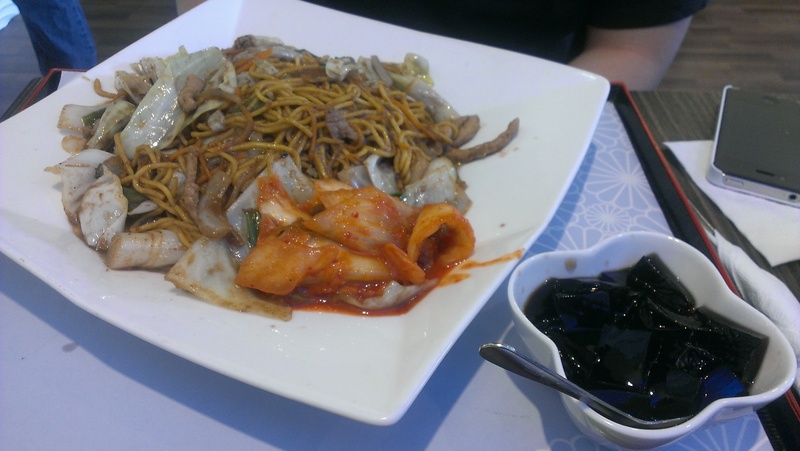 This entry was posted in Food Reviews, Taiwanese and tagged Beefy Beef Noodle, kimchi fried rice, sweet and sour soup noodles.